Harleys - The Educational Super Store was established in 1976. Located in Cairns, Queensland, it is the largest family-owned educational supplier in North Queensland. Harleys employ an energetic team with a wealth of knowledge. The Harleys Team consists of nine full-time, and four casuals. During the busy 'Back-To-School' period this can increase to around thirty staff. If you have a strong work ethic and are interested in applying for a job at Harleys, give us a call today. Jenny with husband Kevin own and run Harleys Educational - Since 1993 - 25 years. Jenny has been awarded with Cairns Business Woman of the Year in 2000, Small Employer of the Year Finalist, Retailer Excellence Award and Best Overall Performance in Retail for School Based Trainee. Jenny is an avid supporter of trainee programs and has had many trainees complete their retail skills course with distinctions. Kevin and his wife Jenny own and run two businesses: Harleys - The Educational Super Store (25 years) & Visual Obsession. Kevin founded Visual Obsession in 1989, and his major focus remains ensuring that media production at every stage is effectively managed and that quality remains at the highest possible level. Visual Obsession built and look after Harleys website and Online Marketing. Kristy has over 23 years experience in the educational industry with extensive knowledge in this area. In her role as the Manager: Kristy fosters an environment of teamwork and ensures that strategy is clearly defined while overseeing performance and maintain morale. Her strong communication and client service skills enhance the quality of service Harleys provide. Michelle is an astute professional with a proven track record of innovation and consistency. Along with superior technical skill, Michelle has an eye for detail. This diverse skill set gives her the ability to anticipate issues before they arise which is a huge asset to the operations of the Stationery and Technology Department. Rachel is a thorough and controlled communicator who has a knack for pulling the team together to get the job done. She is able to handle multiple tasks successfully and maintain a cooperative team environment. Rachel is a strong leader in her role as the operations manager which includes the procurement, purchasing and overseeing of the operation of the business. Kathy is an organised, detail-oriented professional. Her vast experience with stationery and technology purchasing gives her a winning advantage. Her strengths lie in attention to detail whilst ensuring quality assurance procedures are always adhered to. (Dip of Teaching - General Primary & Associate Dip Childcare) Bridget is a natural leader and hands on team player. Her comprehensive knowledge of education and thorough understanding of the teaching environment brings awareness and wisdom to the sales and customer care team. Her passion is to assist parents and teachers to find the tools they need to do their job to the best standard. BSc (Hons), PhD. Samantha joined our team bringing 15 years of experience in wholesale distribution including all aspect of retail operations. Samantha has incredible depth of knowledge across multiple industries including her high level academic background. She is exceptionally detail orientated and has a high level of efficiency and determination to get the job done. Anne-Maree possesses a highly respected financial services background and oversees the whole operations of the department. Fiona is incredibly dependable and thorough in her support role, they are two dedicated professionals that ensure the backend operations are seamless. Harleys is the principal local supplier of Back-To-School products to the majority of schools in the Cairns Region and surrounding areas. Harleys has become known as the Far North's leading educational supplier, sourcing products from over 800 suppliers Australia wide. 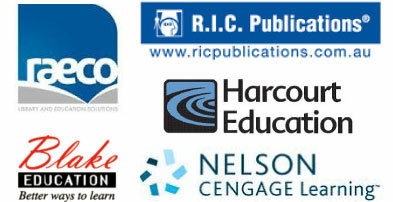 They are the preferred northern distributor for well known, high profile companies such as Nelson Australia (formerly Thompson), RIC Publications, Blake Education, Harcourt Education and Raeco International. The Harleys service area encompasses the Cairns Region, Mackay North, the Torres Strait, Mount Isa, Townsville, Papua New Guinea and other areas in South East Asia. Orders from our website are shipped Internationally.